Panoply is known for designing over the top red carpet worthy gowns. 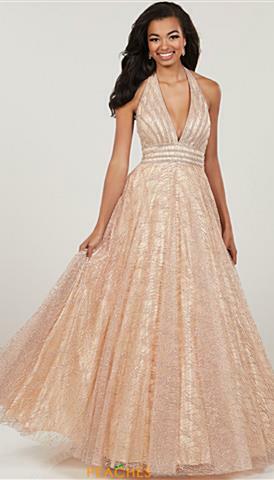 Panoply homecoming dresses are intended to evoke high drama and sophistication at a reasonable price. This collection features a diverse selection of colors and dress designs. 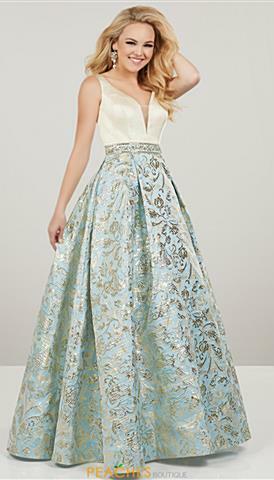 Choose from unique paisley bead work, accentuated bust lines with subtle pleating or shimmering AB stones, or exceptional trumpet skirts with beaded lace over full tulle skirts. If you are looking for a more modest dress, you can choose from Panoply's timeless A-line gowns with gorgeous high necklines or try a long sleeved gown with delicate lace embellishments. Highly adorned cap sleeves, choker-like intricate necklines, and tulle sweep trains guarantee you will be one of a kind whether you are attending a formal event or partaking in a pageant. Panoply has many super trendy two-piece dresses to choose from that will make you look like a true celebrity. 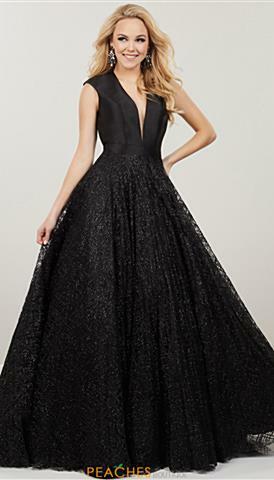 Order your Panoply dress today for an unforgettable 2019 prom night.